Can you tell me where I can find these comics? Great question. You can get them digitally from the publisher. 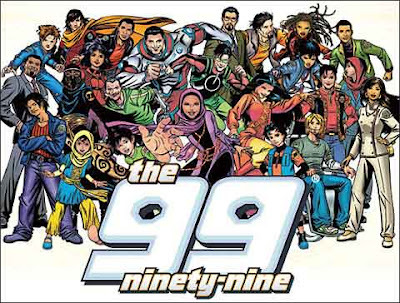 http://www.the99.org/. Hard copies are a little harder to come by, but be patient. With the publisher's joining forces, I suspect we will see some trade paperbacks and other issues back on shelves.